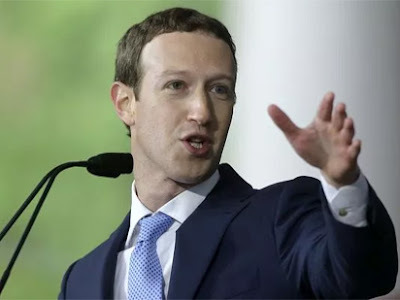 Cambridge Analytica: Facebook warns Nigerians to manage apps, control access to data. Facebook has officially released the correct number of Nigerian users their data were accessed by Cambridge Analytica. This is as it warns that users should manage apps that they use and control access to the data those apps can see. Since the scandal of Cambridge Analytica’s alleged processing of user’s data for electoral manipulations broke out, several figures have been bandied on social media and other platforms about the number of Nigerian users Cambridge Analytica had access to their data. Facebook has officially confirmed that about 78 Nigerian users were directly involved as they installed the app provided by Cambridge Analytica while 271,469 users were potentially impacted in Nigeria because they are friends to those who would have installed the app elsewhere in the world. However, a facebook spokesperson who pleaded anonymity has warned Nigerians to manage the apps they use to forestall future occurrence. We want to encourage people to manage the apps they use. We already show people what apps their accounts are connected to and control what data they’ve permitted those apps to use through app settings. We are putting a link at the top of people’s News Feeds to make sure that everyone sees it. Furthermore, it’s important for us to tell people if and how their data may have been accessed via This Is Your Digital Life, he added. He revealed that Facebook is taking numerous measures. One of those being that everyone globally on their Facebook page will see an alert leading them to the apps setting where they can review the apps they’ve allowed access to their data. Additionally, those potentially impacted by CA will also see the alert that will take them to see what data might have been shared. Apparently to increase transparency, accountability and maybe prevent election interference, Facebook also announced changes to the way advertisements are managed both on its platform and on Instagram. Vice-President in charge of Ads at facebook, Rob Goldman and his counterpart for Local & Pages, Alex Himel, said Facebook has realised that users hardly know who or where advertisements on the platform are coming from and therefore has decided to correct that mistake. They said: “We believe that when you visit a Page or see an ad on Facebook, it should be clear who it’s coming from. We also think it’s important for people to be able to see the other ads a Page is running, even if they’re not directed at you. That’s why today we’re announcing important changes to the way we manage ads and Pages on Facebook as well as Instagram. These are designed to increase transparency and accountability, as well as prevent election interference. Last October, the platform announced that only authorized advertisers will be able to run electoral ads on Facebook or Instagram. Now, the company is extending that requirement to anyone that wants to show issue ads, like political topics being debated across the country. Facebook is working with third parties to develop a list of key issues, which the company said it will refine over time. The platform has also said that to get authorized, advertisers will need to confirm their identity and location even as they will be prohibited from running political ads, electoral or issue-based, until they are authorized. In addition, Facebook said that such ads will be clearly labelled in the top left corner as Political Ad and marked as “paid for by” information. The company started testing the authorization process this week, and people will begin seeing the label and additional information in the US later this spring.